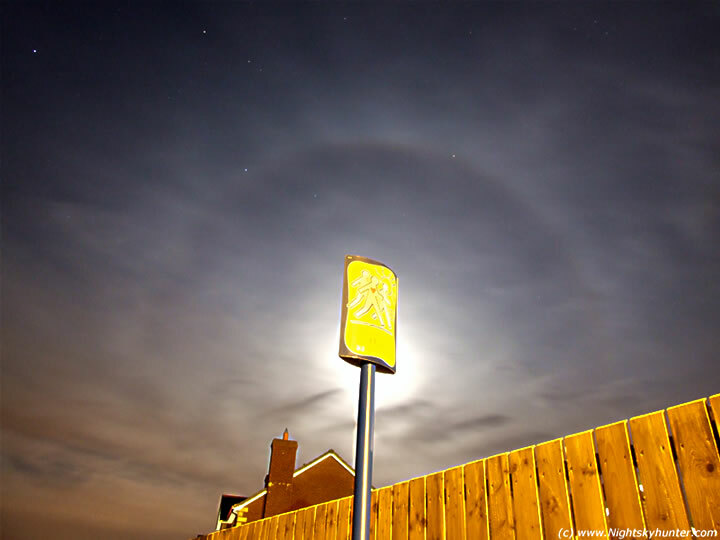 22 degree bright Moon halo captured from the south side of Crewe Road, Maghera on Oct 11th 2008. Here I used the 'healthy walking' sign to block the Moon's glare. Stars of Pegasus are above. There's a slight enhancement on the halo top indicating the presence of a lunar upper tangent arc (UTA). ISO400, 15 sec's at 28mm.